A senior prison officer killed a third year Kenyatta University student on Sunday morning along Mombasa Road. Sergeant Dismus Gitenge Motongwa was driving under the influence when he hit Maureen Wambui Gachagua as she crossed the road. 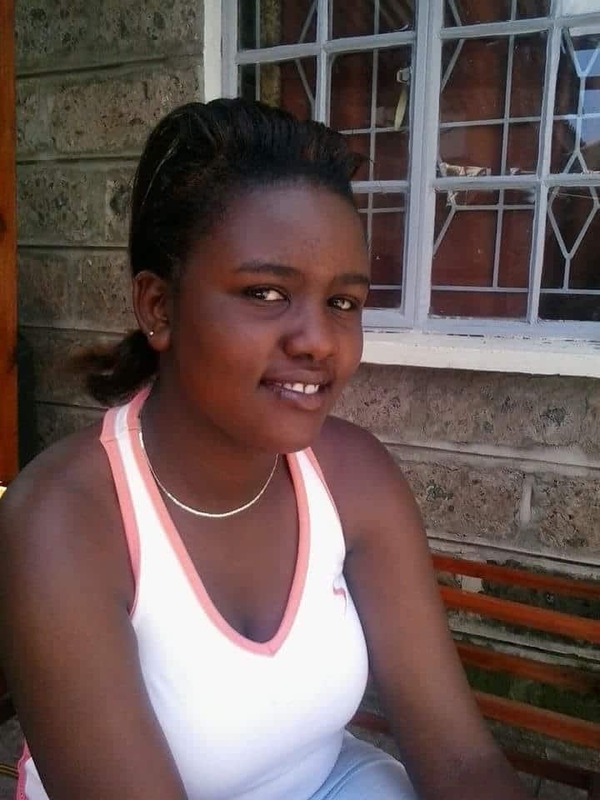 Maureen, 22, was in the company of her boyfriend Dennis Mburu Baragu and had just left NextGen Mall for home. Dennis says that the deceased chose to use the foot path joining Mombasa Road as he crossed a trench. As she crossed the road, he recounted, a red car came out of nowhere, hitting her. Her body flew and landed on the roof of the car but the driver did not stop. He quickly crossed the road hoping that she was on the roadside. But there was nothing when he got there. “When the car disappeared from my sight, I looked for her by the road and even in the ditches on either side of the road but all I found were her shoes,” he told a local daily. Dennis took a taxi and went looking for her. He went from one hospital to the next but no one fitting her description had been admitted. “We went to Nairobi West, Nairobi South, Lang’ata, Mater and Kenyatta National Hospital but none of the hospitals had admitted a patient involved in any accident. A friend called and informed me that there was a nearby hospital called Mariakani,” he continued. It is while at Mariakani that he overheard a woman narrating of how a young woman’s body had been dumped at “a turn near Car Max dealers in South C. Dennis” by an unknown person. Her body was badly bruised, he says, and her right leg was missing. But what helped the hit and run case was a number plate the officer left lying next to Maureen. “Beside the body was a number plate of a car; KCN 285B which belongs to his wife, Chief Inspector of Prisons,” he says, adding that the Seargent came back for it. According to an investigating officer, Motongwa went back home to Lang’ata Women Prison’s staff quarters, took another car and drove to Lang’ata Police Station that he had hit a cow along Mombasa Road. “While there, the officers told him that the area was under Industrial Area Police Station’s jurisdiction and directed him to report there,” he says. The deceased’s brother Nahashon Wahome says that the family hopes that justice will be served. “We are wondering why his charge sheet does not contain the charge of concealing crime evidence. We want a thorough investigation to be conducted and justice be served,” he lamented. According to a postmortem report, Maureen died of multiple organ injuries due to blunt force trauma consistent with a road traffic accident. The pathologist, Dr Ndegwa also determined that the deceased suffered a brain concussion.